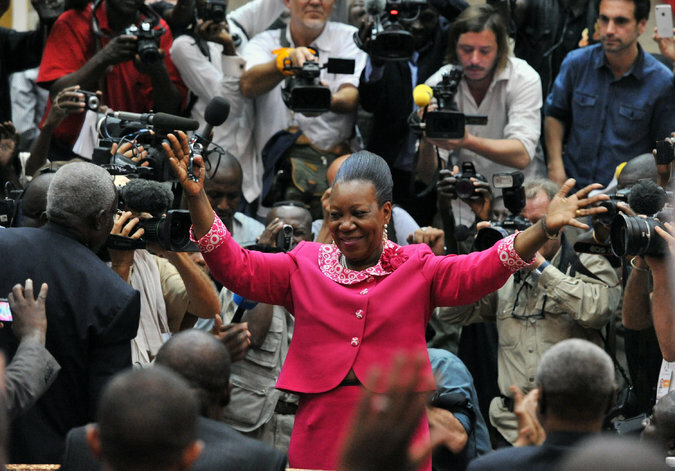 Catherine Samba-Panza, the mayor of Central African Republic’s capital Bangui and 2009 International Visitor Leadership Program alumna, has been selected as Transitional President to lead the country at a critical time in the nation’s history. Elected by the interim parliament among a field of eight candidates, she is the CAR’s first female president. Her exchange in the United States focused on conflict resolution with visits to diverse cities that have played a prominent role in the history of various civil rights movements: Montgomery and Huntsville, Alabama; San Diego, California; and New York City. Born in Chad and educated as a lawyer in France, she has been active at various times on issues of women’s rights, democracy promotion, and peace building. Following a coup in 2003, she served as a senior member of National Council for Mediation working to promote peaceful dialogue and prevent conflict.